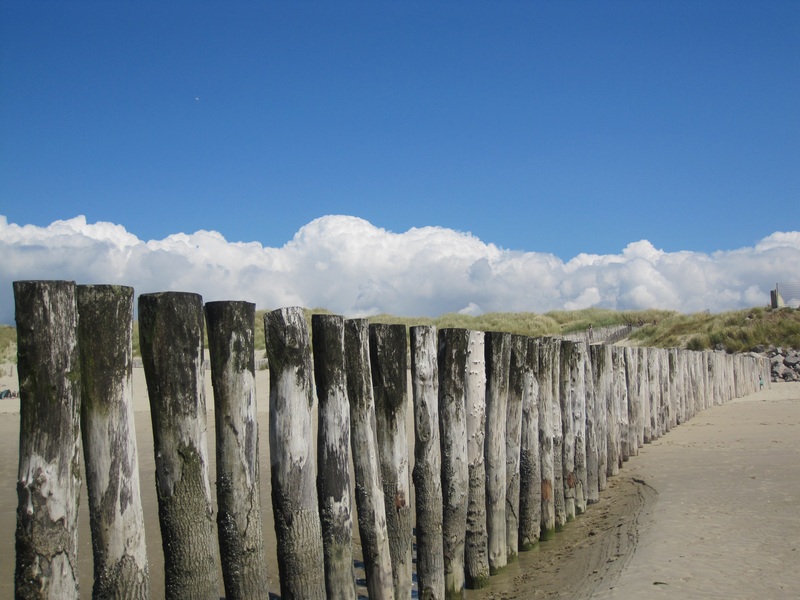 The Blue Flag Beach awards for 2011 were announced in May and the total number of successful beaches decreased overall by sixty, which means that either the criteria is getting tougher or the coastline is getting dirtier – I hope it is the former. Each year, national Blue Flag juries assess all Blue Flag candidates to ensure they meet all of the criteria for beaches and marinas at the national and international level. In England this preliminary assessment is carried out by ‘Keep Britain Tidy’ and in the other UK countries by ‘Keep Wales Tidy, ‘Keep Scotland Beautiful’ and ‘Tidy Northern Ireland‘. Those that do are then forwarded to the International Jury, who focus on set criteria that varies from year to year, before giving a final verdict. Some might legitimately complain that it is an unfair competition because forty-five countries in the World are excluded from the awards simply because they have no coastline. The largest country in the World without a coastline is Afghanistan but I don’t suppose they concern themselves greatly with the Blue Flag awards because no one would go on holiday there anyway! 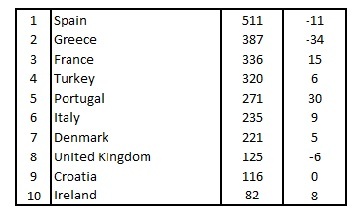 In the United Kingdom the total reduced by six, which is 5% of the total following a 10% reduction in 2010, but the biggest losers were Greece, thirty-four, and Spain, eleven. Because of Greece’s poor performance Spain stretched its lead at the top of the league table to one hundred and twenty-four beaches. To compensate for the reductions Portugal increased by a whopping thirty beaches and France by fifteen. In the United Kingdom it is nice to see my new local beach at Cleethorpes in North East Lincolnshire has retained its Blue Flag Status and although I don’t generally go on holiday to the coast in the United Kingdom, this year I went to Mwnt Beach in Ceredigion which I have to say was a delightful place with a thoroughly deserved blue flag. Spain, Greece and France deserve to be proud of their achievement but if we look at the results in a different way then there are some dramatic changes in the top ten. If we divide the number of blue flag beaches by the length of coastline then Portugal are rewarded for their special effort this year because they are way out in front with a Blue Flag beach every six and a half kilometres, pushing their Iberian neighbours into only third place. 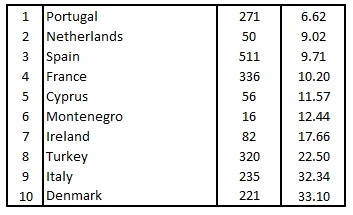 Turkey, Italy and Denmark all drop down the list but stay in the top ten but Greece, Croatia and the United Kingdom (where there is only one blue flag for every one-hundred kilometres) drop out altogether to be replaced by the Netherlands who jump to second, Cyprus and Montenegro, which must be a bit of a kick in the teeth for Greece and Croatia. 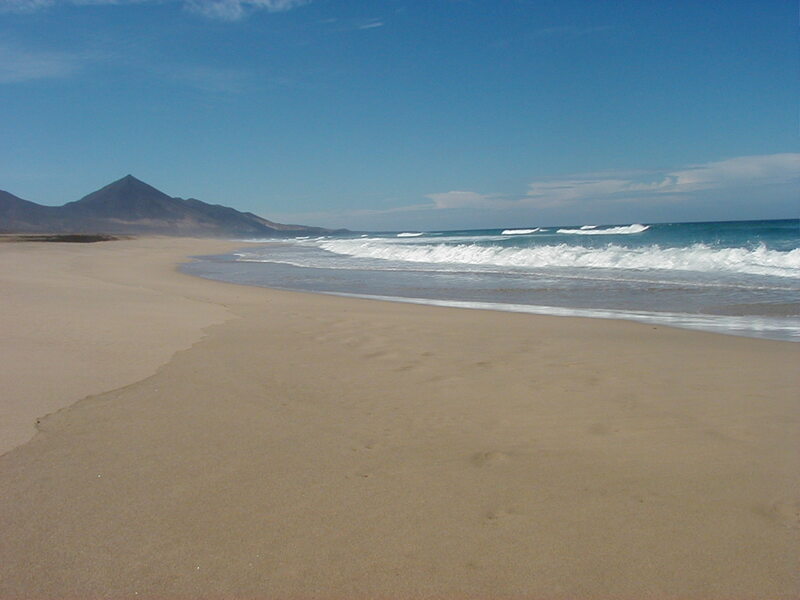 My favourite beach remains Cofete Beach in Fuerteventura which isn’t Blue Flag but take it from me is quite magnificent and to compensate for no award it’s a place where pretty ladies get their kit off! This entry was posted in Beaches, Croatia, Europe, France, Greece, Greek islands, Italy, Portugal, Spain, Travel, United Kingdom, Wales and tagged Blue Flag Beaches, Blue Flag Beaches 2011, Blue Flag Cleethorpes, Blue Flag Greece, Blue Flag Spain, Blue Flag UK, Cofete Beach, Fuerteventura, Mwnt Beach. Bookmark the permalink. Now maybe it is too early in the morning for my brain to get in gear, and PLEASE tell me that I am barking up the wrong tree here: but surely the only valid comparison between countries is to compare their number of blue flag beaches against their total number of BEACHES, not length of coastline. Well because some national coastlines are far more prone to sand deposits, than others. Norway has the biggest coastline in Europe. Bigger even than the USA. But you know from your own travels there, that the extensive fjords are the reason for this. And you also know that if you were to use your measurement of blue flag beaches against NORWAY'S total coastline, then Norway would inevitably finish bottom, because much of their coastline is sheer rock face and no beach. I think a paltry SIX beaches in Norway have blue flag status. So Andrew, please tell me where my logic is wrong? And if you say that Norway is an extreme case, then I'd respond with "Granted, but all the other countries in Europe are variations on that theme". BTW, I hope that the gorgeous beach I walked on – less than six weeks ago – in Jurmala, Latvia, is a blue flag beach too. If it ain't, then the whole thing becomes farcical. I owe that visit to you and your blog, BTW. Much thanks. You have got me chuckling here! Your logic is as usual impeccable. Sadly I am unable to take up the challenge to research your blue flag measurement criteria because it would take too long and I would not get ANY of the jobs done that Kim gives me in the morning before she goes to work – I currently reckon on average to manage about 50%! I am glad you liked Jurmala, I recommend it to everyone. It is a Blue Flag beach which is something I find slightly ironic because in the days of the USSR it was a favourite of the reds! these look so gorgeous i long to be on a deserted beach right now! Glad to see Jūrmala there, but I wonder why the USA is excluded? 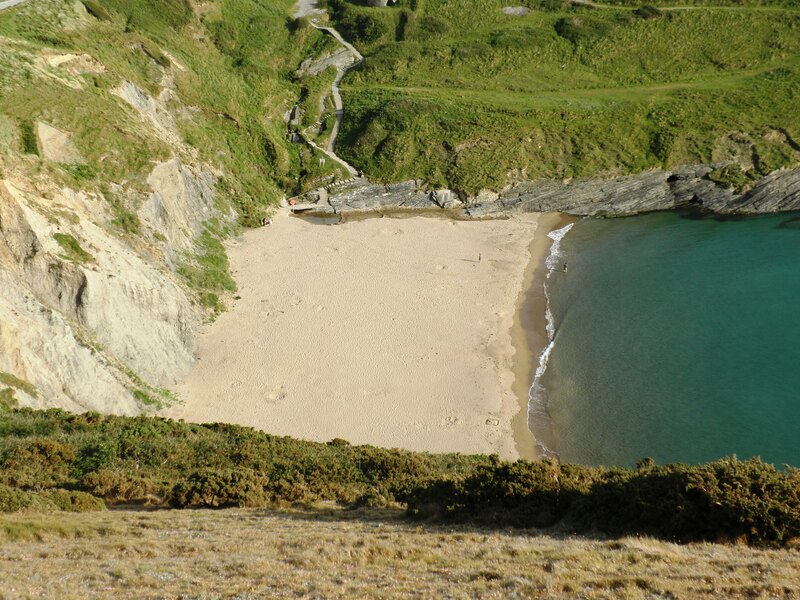 I think we have our share of some pretty fantastic beaches. I don’t think they are excluded – perhaps they have their own beach awards system? You’ve piqued my curiosity. I see that Canada has a few listings. I’m thinking I’ll need to read the Criteria. Haven’t ever heard of a beach award system as such here other than the ubiquitous Top Ten List thingees we seem to do. Thanks to this post, I finally understand what the designation refers to.